GOVERNMENT agencies on Tuesday, March 26 called on transport cooperatives and groups across Central Luzon to consolidate their efforts in preparation for the full implementation of the public utility modernization (PVM) program in 2020. 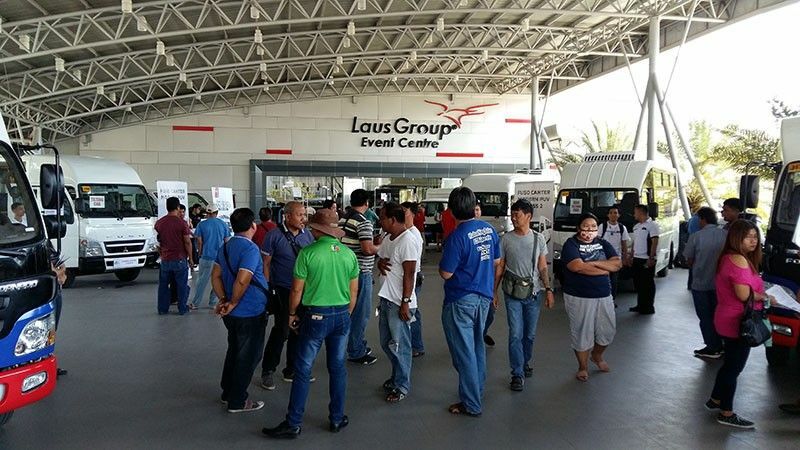 During the summit on PVM program organized by the Department of Transportation, Land Transportation and Franchising Regulatory Board (LTFRB), Land Transportation Office, Department of Interior and Local Government, the City Government of San Fernando, the Provincial Government of Pampanga and the Office of Transport Cooperatives (OTC) at the LausGroup Event Centre here, information and issues were presented to officers and members of various transport cooperatives and groups regarding the PVM program. “We need to consolidate our efforts to reap the full benefits of the public utility vehicle modernization program as packaged by the government. It is also high time that those without cooperatives already form their own to sustain what has already been started,” said Laarni Necessario of the OTC. She added that consolidation of the transport industry will result to gains for operators and drivers in such components as loans and subsidies acquisition, automated fare system, fleet management including common garage and terminal operations, as well established salary sharing. “With the PVM program, we can do away with the traditional boundary system, secure fare payment and have established salaries for cooperatives and their members,” Necessario said, citing the Tayug Transport Cooperative, Pateros Transport Cooperative and the Senate Employees Transport Cooperative which have already established and implemented the PVM program in their areas. For his part, LTFRB executive director Samuel Martin stressed the need for consolidation of the transport industry in view of the full implementation of the PVM program. “We want to assist our transport cooperatives in implementing the PVM program. The government has already packaged it for them and we want them to know that we ready to help them as it is for everyone’s benefit,” he said. Meanwhile, several officers and members of transport cooperatives and groups (who requested not to be named) echoed their concerns on the PVM program. “While the program sounds good, there are some things that need to be addressed like the meager P80,000 subsidy which we find small since we will replacing our existing vehicles with modern jeepneys that cost around P800,000 each, leaving us with debts to pay in the long run,” they told SunStar Pampanga. Another said that with such debts to pay even if it will on a three to four year timeframe, livelihood of operators will still be affected.